Pierce is a commuter college; this means that thousands of students come to and from our campus while carrying their personal belongings. Many of these students depend on public transit and only have their backpacks and purses to accommodate their mobile lifestyles. That’s textbooks, notebooks, laptops, supplies, lunches, entire academic lives, being shouldered by students that already carry the burden of their studies. A safe place to store away all this baggage would be great and surely appreciated. Though there are lockers available next to the student store, they are too expensive and, well, what other reason do you need not to use them? The bookstore locker fees are: $2.50 per day, $10 per week and $30 per semester. Using these lockers costs more than purchasing a preferred parking pass and it is apparent that they are not even being used. The Roundup took a look at these lockers and not even half-a-dozen of these 64 lockers were occupied. According to Candy Van, assistant bookstore manager, about 15 to 30 students rent lockers for the full semester every year. That means that less than 0.1 percent out of the 19,000 students on campus use these lockers provided. Perhaps if advertising was being done to promote the usage of these lockers they’d actually generate some revenue and the money received could be applied towards the returning investment. Then again there’s also the fact that the electronic payment system on these high-priced lockers is currently out of order. It seems that these electronic payment systems that were provided by the college in 2002 to assist students has actually become more of a problem 10 years later. The only way to access your locker is with assistance from a bookstore cashier, not very convenient for the Brahma on-the-go. Not to mention, there are also restrictions that come with occupying these lockers during business hours only. Aside from the lockers up on the art hill for art students, and the lockers in the gym for student athletes, there is no other place for the everyday student to stash their things. And according to Paul Nieman, director of facilities, there aren’t any plans to include lockers in the new library that is under construction. Pierce might want to consider doing as they do at California State University, Northridge (CSUN). 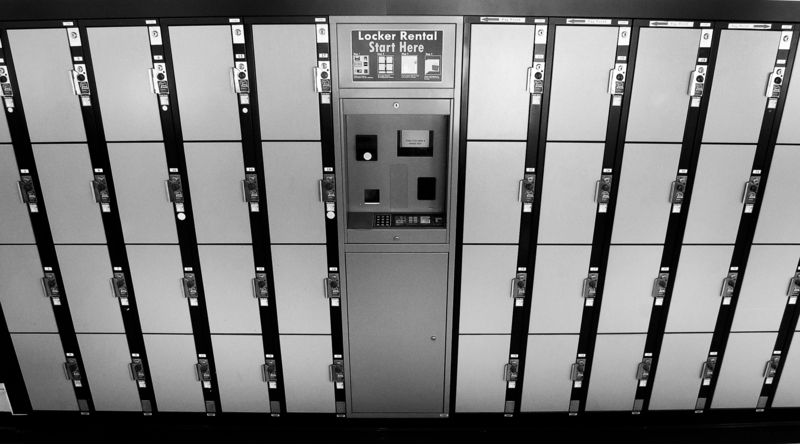 CSUN provides currently enrolled students with lockers, free-of-cost. All you need to do is bring a lock. Getting a locker is as easy as finding an empty one and signing up at the library’s circulation desk. While the lockers next to the student store lie in abandon, a locker system such as the one at CSUN would be beneficial to the campus in more ways than one. Providing free lockers would be a great service to a generation of students that are caught in a time of economic worry, especially with so many of them struggling to get to and around campus with over-priced books in their bags.